Lisa is one of our business assistants. She primarily ensures that our patients stay healthy by helping them schedule their hygiene appointments. Lisa is very caring with our patients, always willing to help the team, and is a great asset to the office. Lisa is married and has three daughters. She enjoys spending time with her family and taking road trips with her husband to wineries and antique stores. Katherine is our business assistant. Katherine is the first person who will greet you upon entering the office. You can't miss her warm and welcoming smile. She is very knowledgeable about scheduling, billing and insurance and is always willing to help patients with any questions or concerns. In her free time she enjoys wine tasting, travelling, and spending time with family, friends and with her golden retriever, Jasper. Jodi is one of our hygienists as well as the hygiene department team leader. She graduated from University of Southern Indiana and continues her education to learn the best options for our patients. 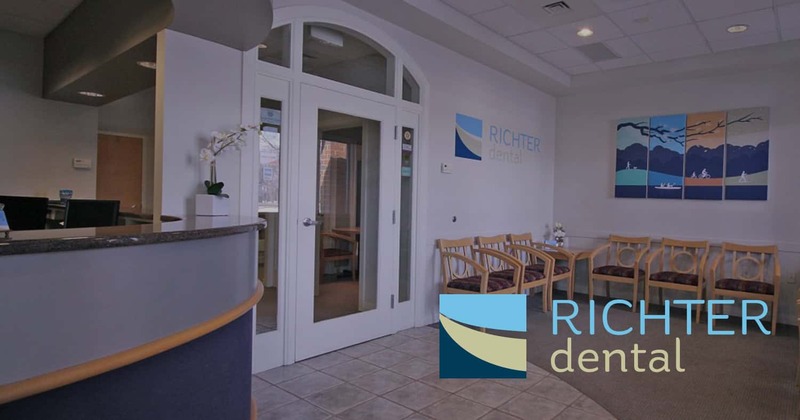 Her knowledge and care with our patients make her a wonderful part of the Richter Dental team. Jodi has three daughters and five grandchildren. When she isn’t spending time with her family, she is involved in Tri Kappa Sorority, giving back to the community. Jodi is also very artistic and does many crafts. She also enjoys checking out different wineries and often shares her delicious finds with us. Lauren is a licensed dental hygienist who graduated from Indiana University Northwest in 2013. She prides herself on taking time to educate you on the importance of a healthy smile. Her infectious smile is always ready to greet you! When she isn’t at work she enjoys spending time with family, friends, and her two dogs. Leanne assists Dr. Richter and the other the clinical staff members. She is very caring with all of our patients, ensuring they have a calm and pleasant experience. Leanne is married and has one son and two daughters. All three of her children are tennis players and she spends many hours watching them on the courts. Leanne enjoys spending her free time at their lake house in Michigan. Becky assists Dr. Richter and the team as a Certified Dental Assistant. She is a graduate from the Indiana University NW Dental Assistant program amd continues in the program instructing students in clinical science skills. Becky loves making a positive impact on the lives of patients and students. She is married with two sons and one daughter. Becky enjoys spending her free time hiking local and state park trails and gardening. Tabitha joined the team as a Certified Dental Assistant with a passion for dentistry. Her goals include exceeding each patient’s experience and expectations, as well as well as building lasting dental relationships. When she’s out of the office she’s super busy with her one year old daughter and her eight year old son. As a family they love spending time together, especially outside.